There are always limits – how fast you can drive, how many donuts you can safely eat, and how loud your amp can get. The same is true of plan review. There are limits to what can be done with paper copies and scales. You know what works for your organization and what doesn’t, and you have an existing process that meets the deadlines under which you operate. In short, you’ve already got your efficiency dial cranked up to 10. But, what if it could go higher? By utilizing an electronic review platform, you can streamline the processes you already use, or review them for efficiency and make changes. Either way you go, transitioning benefits users across the board – from applicants all the way to administrators. Automatically archive all project documents for future access with government compliant disaster recovery. With all these features available, your organization will definitely turn that amp up from 10 to 11; working smarter – not harder – in what should be a fully transparent environment designed from your existing plan review process. 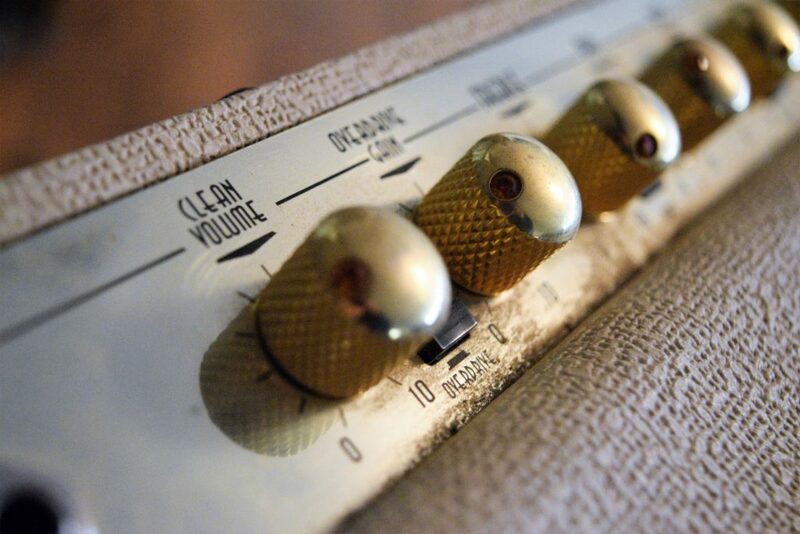 So, are you ready to cast off those old limits and crank your efficiency up to 11? Start checking out some of the options out there. Focus on what your current needs are and look at your existing processes. Do you need a plan review system that can integrate with a document management system for archiving? Maybe it needs to work with your GIS system, or another software solution you already have in place. Ask the companies you talk to about integrations. No matter what, don’t be afraid to ask questions and learn about the full scope of what the company can offer you. When you are ready, come find us. If any of the above sounds interesting to you, we’re here. Give us a call at 877-319-0990 or check us out online at https://idtplans.com. Beginning on Wednesday 11/2/16 at 12:00 am est we will be applying a minor release along with routine scheduled maintenance. This release brings many improvements and new features including some exciting additions to the Inspections Application. We’ve been getting great reviews of our new mobile inspections system and there have been a lot of excellent feature requests. With this update we have integrated the dynamic form builder into the inspection request and inspection complete events. This allows you to customize the information that you request and or require the applicant to enter when requesting an inspection. This also positions us for another enhancement in the coming months to allow inspectors to enter customized information regarding inspection results. For example you might require a soil inspection lab results to be submitted when a soil inspection is approved. This custom form data is configured to also display on the inspection dashboard and associated reports. We’ve gone to great lengths to modify the date/time stamps in the system to better match local time-zones. We will automatically detect your most likely time-zone preference for you, but you’ll also have the ability to modify your preferred time zone from within your account preferences as well. There are two new fee reports that have been added to the system. When searching fees now you will see two new options to sort by Fee Type Detail and Fee Type Summary. These two new options will allow you to customize reports based on fee types. The summary will show one record per fee type along with the total paid, unpaid, and grand total. The detail will output one record per fee sorted by fee type. We have 3 new variables that will allow you to better customize the project fees on your custom documents. You can now use <totalFees>, <totalFeesPaid>, and <totalFeesUnpaid>. These will output a decimal value out to two decimal places. You can apply your own dollar formatting, or use these variables in calculations. This new custom document element will output the results of the most recent review cycle into your comment and approval letters. This gives the applicant a quick overview of the review results along with each discipline and the results of their review cycle. You now have the option of entering a license number for a reviewer when adding them to a discipline. This allows us to record a different license number per reviewer per discipline. When a comment or approval letter is generated, we can include these license numbers into the new plan review summary. In order to improve performance when generating comment letters with hundreds of comments, we’ve made some slight changes to the way that the project issues are output. With this change we were able to improve both performance and the appearance of the comments. We’ve changed the way that the comment letter issues link to documents in order to always point to the flattened or embedded version of the document (even when the markups are flattened/embedded after the comment letter was created). This should reduce confusion on the part of the applicant and streamline the way that comments are responded to. We have also applied several performance enhancements in this update to better handle any temporary connection problems with the document server. We have also applied several patches to the offline functionality of the inspections module regarding different browsers. This development cycle was a short one but packed full of valuable improvements that should help to increase productivity for Plan Reviewers as well as Applicants. We’ve made some dramatic improvements to the automatic comment synchronization when saving markups within Bluebeam. You now have the ability to configure how the issues are categorized and grouped within the comment letter. Available options are to group by: Author Name, Assigned Discipline, Discipline Color Code, or Static Text. The discipline color coding is especially helpful and allows review teams to customize their bluebeam tool set to color match their discipline. For example, any markups made in red might always fall under the Fire discipline and be grouped that way within the comment letter. Additionally you can configure and prioritize multiple fallback options just in case a category cannot be automatically determined. For example, you might decide to group comments by color code, but if a markup is created that does not match any discipline’s color code, you can fall back to the reviewers assigned discipline as a category. Color coding also makes it easy for the applicant to spot which discipline’s comments are on a given page. We’re now recording exactly which page a markup resides on. The page number and sheet title are now displayed next to that issue within the comment letter. When an applicant clicks on the document title, they’re automatically forwarded to the page that the comment resides on as long as they’re viewing the markup in a pdf viewer that supports document page linking (Adobe, Chrome, Firefox). allows applicants to copy and paste hundreds of parcels and or addresses at once instead of entering them one by one. You now have the availability to mark an issue as mandatory or recommended. Existing clients will see no change here unless you turn the feature on. Once turned on, you’ll see that all issues are mandatory by default but you can change them to recommended (optional). You can now customize the default emails that are sent when an inspection is approved, declined, or conditionally approved. Each inspection result type can have it’s own default email. The planholders feature has been modified to sort confirmed and unconfirmed bidders into one table. Confirmed bidders are now highlighted in green. You can now modify the state of the planholders (confirmed/unconfirmed) or their email preferences without the page needing to refresh the between each change. You’ve asked for new features and we’ve been listening. During the last several months we’ve been working hard to implement many new feature requests and improve system wide performance. Here’s a short list of some of the improvements that have recently been added. You can now set the review cycle due date as a required field. You can now set a default review cycle due date N workdays from the date that it’s assigned. Added the ability to copy workflow forms from one workflow to another. Added the ability to customize the application agreement text that is required to be checked off before submitting an application. Added a published column to easily identify those application types that are available to the publis vs those that are still in testing. You can now drag and drop stages in order to change the sort order. You can now configure stages to send a reminder email to the project administrator N hours before they’re flagged as late. Stage date history is now recorded for the life of the project. Plan review overview views have been optimized for better performance. Project search feature has been optimized for better performance. Site and custom document logos are now responsive. Improved performance when creating system generated pdf files. Implemented an email queue service to improve performance when sending emails. Added a new length function for more flexibility when assessing fees. Updated fee help text with more formula examples. Added the ability to merge PDF files from the user interface. Added Bluebeam batch stamp functionality from within the user interface. Better adobe commenting support when saving out of Bluebeam. Better organization of issues when creating markups in Bluebeam. Bulk Parcel/Address entry and validation. Customizing default emails sent from the new inspections system. We thank you for your continued support and please keep the great suggestions coming! Join us as we unveil idtPlans Inspections, the newest member to the idtPlans suite of applications. We’ll be at the North Carolina Building Inspector’s Association Annual Conference in Atlantic Beach NC on July 25th demonstrating the very latest in inspection and electronic plan review technology. Designed from the ground up for mobile devices and iPads to work online or offline, idtPlans Inspections is a must-have for any agency or jurisdiction that performs inspections. Server maintenance is scheduled to begin on Wednesday June 1st at 12:00 AM EST. We expect the application to be fully operational within thirty minutes. Server maintenance is scheduled to begin on Friday May 27th at 12:00 AM EST. We expect the application to be fully operational within thirty minutes. UI enhancements – allow reviewers to quickly view any existing time tracking entries for the current review cycle, and add/edit entries easily before closing a review cycle. Time tracking report – improved formatting. View other company members entries – allows a user or group to view the address book entries that were created by members of the same parent company. Edit & Delete other company member entries – allows a user or group to edit and/or delete address book entries that were created by members of the same parent company. Update transmittals, print orders, and permit applications to use modal address book data entry to improve consistency, performance, and user experience. Added support for outputting documents to ms word format in addition to pdf. Fixed and improved some user interface issues regarding the creation of templates and custom documents. Rewrite of the custom document model to improve performance. Added granular control of how dynamic form data is output. You can now determine exactly which forms are output on a particular document. Added granular control of how permit application general information is output. You can now choose to include or exclude this information from a particular document. ADFS Integration. Allows administrators to log into the system using their existing Active Directory sign on. Added functionality to publish/un-publish application types, allowing administrators to test new forms easily before making them public. Improve fuzzy project searches to include tracking numbers, city, state, & title. Added functionality for “Office Use Only” form fields. You can now create custom forms and attach them to specific events within the workflow. For example, you might want to require an administrator to manually input data when a project is accepted for review. New merge field: <CurrentReviewCycleDue>. Outputs the due date of the current review cycle. Improvements to error handling for extremely large file uploads. Fix an issue with unchecked checklist items.